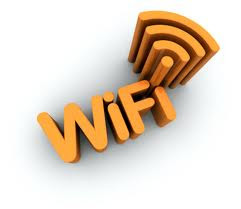 In this post, we will see how to extend the reach of a wi-fi network. We will discuss in details the main issues you may face when you start building the wireless network at home. You will soon realize that your dream wireless network is plagued with various issues of blind spots, limited range and limited speed. There are various devices to address these issues. Some of them are listed below. 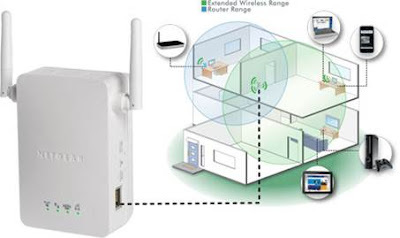 A wireless repeater is a small piece of hardware that can enlarge your network significantly without the need to use any kind of wiring or any additional hardware. Wireless repeaters, on the other hand, are the best way to enlarge the range of an existing wireless LAN instead of adding up more access points. A WLAN repeater is not actually combined or attached by wires to the other parts of the network. As a substitute, it receives radio signals from an access point, end user device, or any other repeater and retransmits the frames. 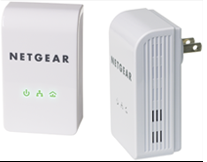 The NETGEAR Universal WiFi Range Extender effectively doubles the operating distance of your entire wireless network. It can be directly plugged into the electrical outlet and conveniently avoids additional need for power cables or device clutter on your office desk or home theater. WN3000RP extends your wireless network to include the area outside the range of your existing wireless router enhancing overall network signal quality, giving you the freedom to roam anywhere in the house and access Internet without worrying about coverage. It is compatible with any routers and easily configurable. A wireless bridge connects two LAN segments with a wireless link. The two segments are in the same subnet and look like two Ethernet switches connected by a cable to all computers on the subnet. Since the computers are on the same subnet, broadcasts reach all machines. DHCP clients in one segment can get their addresses from a DHCP server in the other segment. This will come handy in the following situations. Wireless bridges are available from all major Wi-Fi equipment manufacturers, but always buy router as well as the bridge from the same manufacturer for better results. Linksys WET610N is an example. It works very well with WRT610N router. Power Line AV adaptors use electrical line for communication and another way to expand your network reach. It comes in pairs. Simply plug this device into your electrical and connect the Ethernet interface to your network router. The other pair is plugged into electrical outlet in the far off room where the existing wireless signal is weak. Your network devices can be connected to the network port of the PLC device so that you can extend the reach of your network. The maximum speed you can get is 200mbps. I have seen some issues using this setup in Indian electrical wirings where there is no single return wire, on/ off switches are put randomly on phase and neutral. Keep in mind that you cannot use any extension board to plug in this PLC device where the transient suppressors will filter your communication data network L .This can be used for streaming media too. Netgear XAVB1101 and Western digital WD Live wire and good examples of these devices. Visit the following links for more details. Dlink Router DAP-1320 combines an n Wi-Fi router with a Powerline router in a single package which boast of covering all your blind spots with its new approach .